At the Aircraft Interior Expo in Hamburg, 2nd April 2019, AIM Altitude will unveil its much anticipated ULTRAFLEX interior and evolved concept galley. ULTRAFLEX is a visionary lifestyle concept space, shortlisted for a 2019 Crystal Cabin Award. It provides a social destination on board ultra-long-haul flights, with themes of wellness, fitness and stimulation, in an adaptable environment. 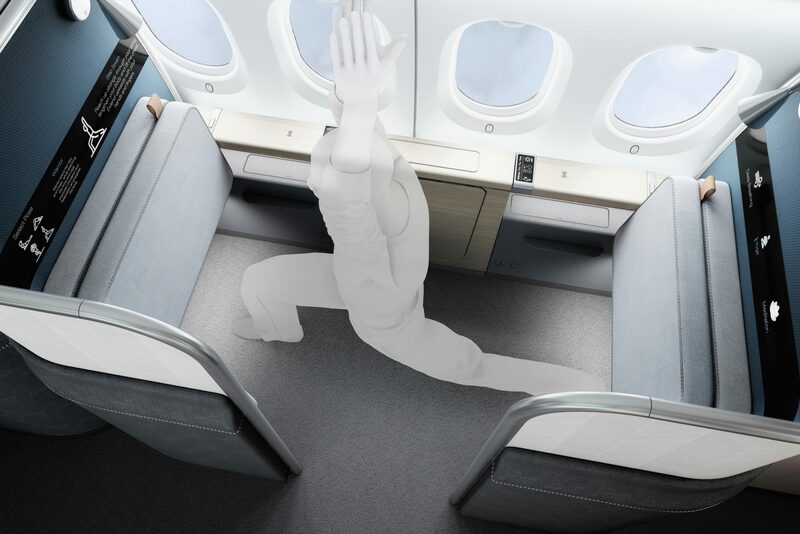 One of just three finalists in the ‘Visionary Concepts’ category of the awards, AIM Altitude’s ULTRAFLEX makes in-flight socialising, dining, working and even exercising possible. The evolved galley is a development of the celebrated protype galley, created by AIM Altitude’s own in-house industrial designers in New Zealand. It focusses on innovative design enhancements that benefit the in-flight service delivery and the appearance of the practical galley design. Join AIM Altitude on stand 7B01 at AIX 2019.